At the end of the March, like every month I sent out the GBG eZine with free and next to free deals. 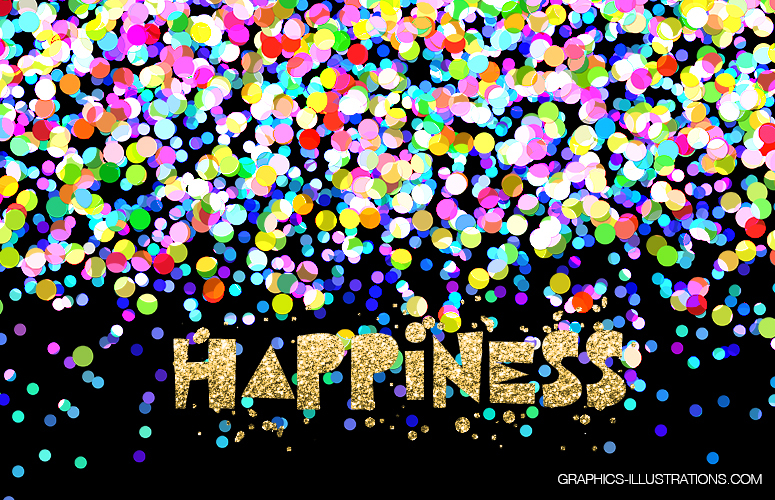 This edition of GBG eZine included something I named “Free Colorful Confetti Overlays“. I made 14 transparent PNG files, all of them are 3600×3600 pixels size at 300 dpi. These can be used as they are, but hey, this is not the only way to use them! Here are some samples I made using 3 Photoshop layers. Each layer contained one of the PNG files from that free pack. So, just by using different layer blending modes in Photoshop – linear dodge, color dodge, hard light and other we can get dozens and maybe even hundreds differently looking images. Here below I am showing just four of them. If you like the font on the images below – I used free West Side Font from Pixelo! So, well, I thought these are cool and, as always, I hope you will find them cool too. 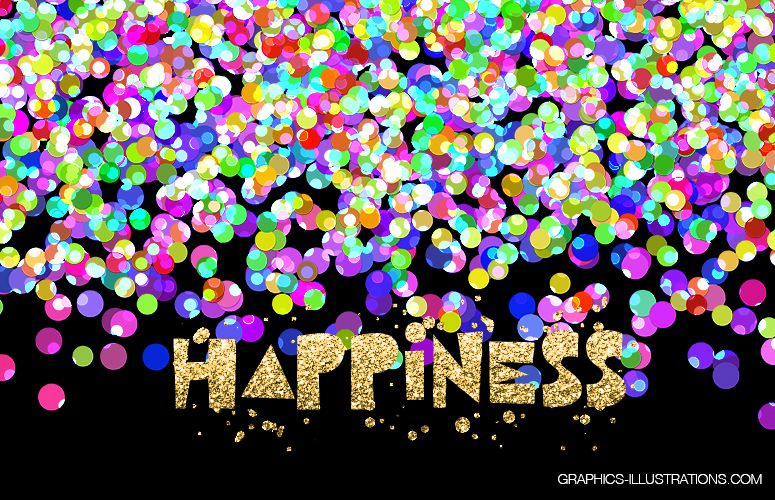 You can get Free Confetti PNG’s from the latest GBG eZine. And here is a little background information on what’s going on and why these visuals. Well, as some of you know, the recent period has been kinda a tough for me for various reasons, but I’m struggling. Trying to focus and give energy to things I’d like to attract. Hence the word Happiness. In my new life in Luxembourg I got some photo and cat-sitting gigs, sell here and there some of my visual design helpers on my Etsy powered FiveCatsGraphics Shop so it’s not like nothing good is going on. If you are going through difficult times in your life, all I can say is, focus your thoughts on good things, emotions, events even if you can’t find many – invent them. And create something. This is one of the reasons I created the images above. These are all free, so you’ve got nothing to lose. 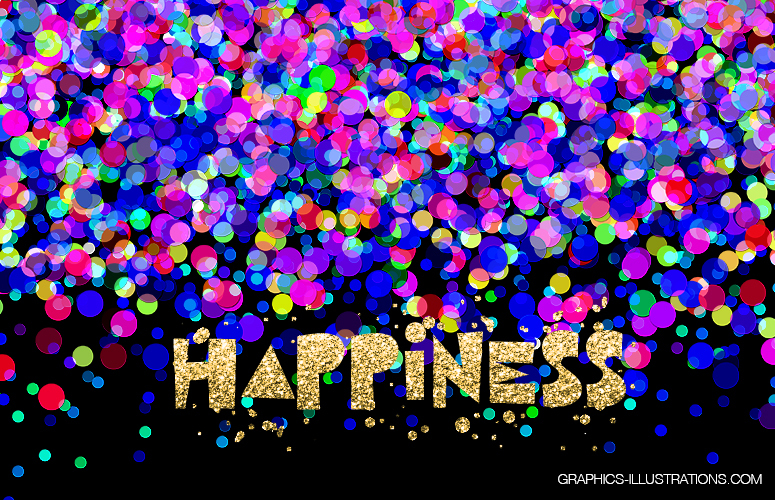 Download the PNG’s, download the fonts and play with layer blending, see how many different colors and variations you can get, put some other wording there, make it your desktop wallpaper or print it out and stick it to your wall. Or even better, make it a gift for someone. Put it on Facebook. Things we do ourselves, creations which are product of our imagination are always something special. For us and those who know us and love us.